The Magic of Science allows everyone, both in the audience and on stage, to become a magician! Everything done in this 45-minute science assembly program looks and acts like a real magic trick. The only real trick is that everything done is science at work. Chemistry, magnetism, optical illusions, physics, and mathematics are all demonstrated in an energetic performance perfect for children. Everything performed has a scientific principle behind it - however, each of these topics will appear to the audience as a challenging and astonishing magic trick. If that wasn't cool enough...sometimes we'll tell you how to do the trick at home! See how much fun your students will have learning about science (and experiments they can do at home) with Mobile Ed's The Magic of Science! 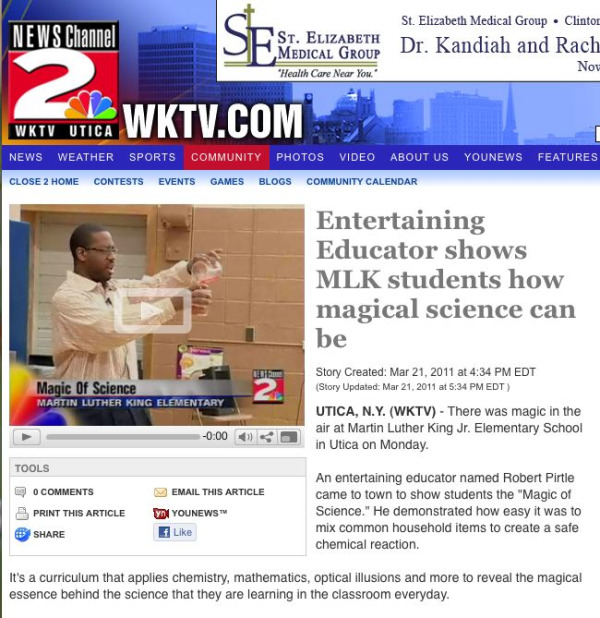 Once again a science assembly from Mobile Ed is in the news! Robert Pirtle, noted for his great school assemblies through out the Midwest and in Texas, is currently out East and making news! 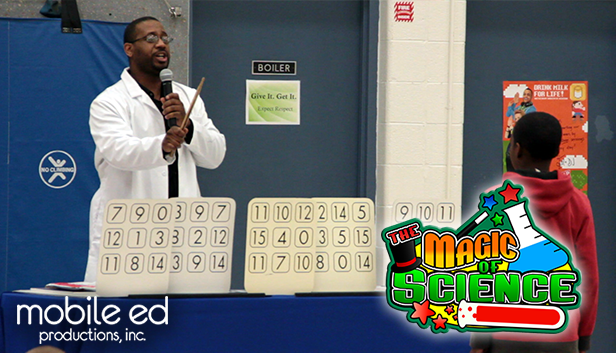 His super science assembly The Magic of Science was recently in Utica, New York at Martin Luther King Elementary. Reporters from WKTV were there to cover the story.